As a former emo/Goth kid, I practically lived in band tees in high school. A plaid flannel, my favorite band shirt, and ripped jeans were all I needed to look and feel like my favorite musicians. With these shirts, you can relive your emo days or add some edge to your current wardrobe. They are great additions to your collection of casual, everyday wear. One Volume Shop is a start-up clothing store dedicated to providing fans with a way to show their passion for their favorite artists, and look cool and fashionable at the same time! The One Volume Shop team believes that the music scene is all about creativity and passion, and that applies to both musicians and music appreciators alike. 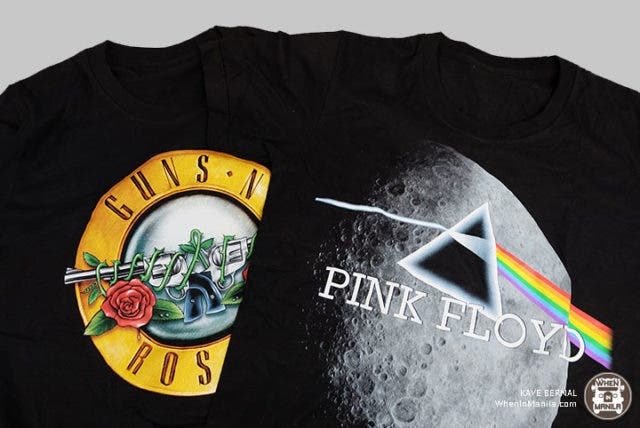 The brand offers a variety of cool designs and their first collection boasts shirts of beloved bands and artists. Nirvana, The Beatles, Led Zeppelin, Queen, Bob Marley, Green Day, and SO many more. You can even name your favorite bands on their social media posts that you will be passionate about wearing. One Volume Shop will be releasing new designs soon and we are definitely excited about that! Another thing that makes these tees special is that they’re made very well. All shirts are 100% cotton fabric that is hypoallergenic and has cooling properties. They undergo simulated process screen printing using premium plastisol ink. Translation: the prints are vibrant, detailed, and long-lasting. To see more of their designs, visit their Facebook and Instagram pages. You may also contact them via Viber or WhatsApp. What’s your favorite band? We’d love to know! Tell us in the comments.